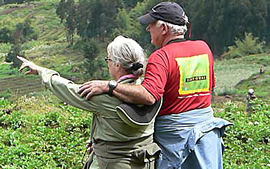 A 3 days Rwanda gorilla tour is an exceptional package that rewards you with a face to face encounter with mountain gorillas and ibyiwacu cultural tour. The tour starts and ends in Kigali Rwanda. On arrival, you will be welcomed by our Driver/guide who will transfer you northwards to Volcanoes national park in Musanze, home to 360 Mountain Gorillas. Dinner and overnight at Mountain Gorillas view Hotel/ 5 Volcanoes Lodge (Luxury)/ Da Vinci Lodge, Gorilla Solution Lodge, Le bamboo Lodge (Deluxe)/Muhabura Hotel (Budget). In the morning transfer to Kinigi park headquarters for a briefing by the park warden. Guests are accordingly allocated their specific gorilla groups for tracking in respect to their physical abilities. 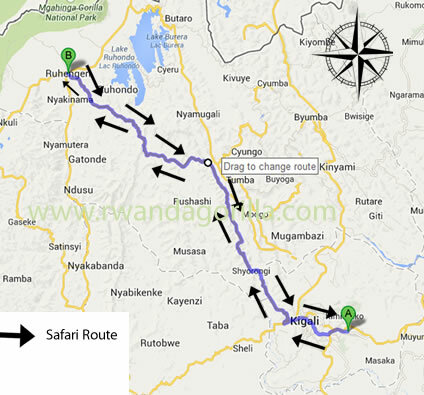 At 8:00 am the local time all tourists will transfer to various starting points for gorilla trekking. 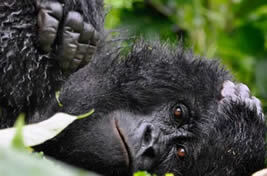 Normally it takes 1 to 6 hours to encounter the mountain gorillas as they keep moving from one point to another. Upon spotting them, you are free to stay in their presence taking photographs and imitating their calls. Then return to the point where your vehicle is stationed so as to transfer you to the next available programme. 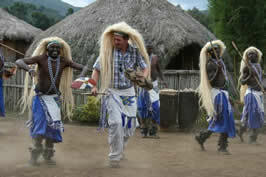 Spend part of your evening at Ib’iwachu Cultural Village. Transfer to Lake Kivu and stay overnight on Lake Kivu one of the deepest Albertine lakes of East Africa. Enjoy views of Nyiragongo Volcanoes in DR Congo. Dinner and overnight at Mountain Gorillas view Hotel/ 5 Volcanoes Lodge (Luxury)/ Da Vinci Lodge, Gorilla Solution Lodge, Le bamboo Lodge (Deluxe)/Muhabura Hotel (Budget). After breakfast transfer back to Kigali. Your tour guide may take you around the city – visit the Gisozi Genocide Memorial Site and the local handicrafts market, then proceed to the airport for your departure flight.